LIFEPAK 12/20 with Nellcor SpO2 Oxisensor II Disposable Infant Sensor by Physio-Control. Includes a box of 24 sensors individually wrapped in sterile packaging. 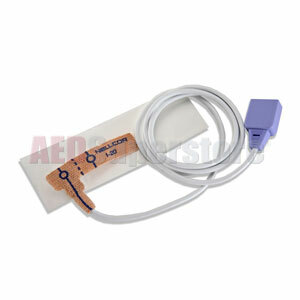 This item is for the LIFEPAK 12 and the LIFEPAK 20/20e with the Nellcor SpO2 option only. The connector will not fit the Masimo SpO2 option.